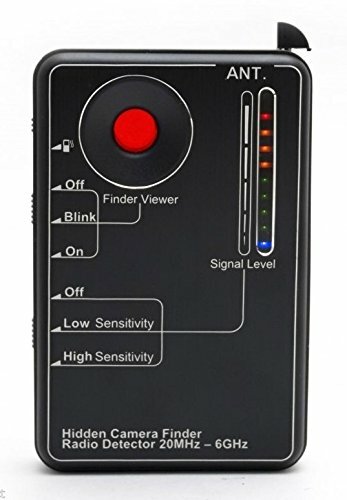 Best Hidden Camera Detector Reviews - Top 10 Devices in 2019! Why do you need a spy camera detector? For every person, privacy is a must, and of course, no one wants it to be violated by someone else. Whether you are in a home, in an office or in your car, you would prefer this place to be private and protected. Unfortunately, sometimes your privacy is in danger. Hidden cameras are now becoming smaller and cheaper than ever, so today it’s not a problem for everyone to install one of these cameras somewhere in your house. So here we go – the full review of ten best-hidden camera detectors. And the first one (it’s all about random, remember?) is KJB DD2020 produced by KJB Security Products. This RF detector is developed and produced by KJB Security Products Company. This company was created in 1992 and it has gained a pretty good reputation for the last 25 years. That’s why I believe that you won’t be disappointed with this device. You can look at it here, at the manufacturer’s website – DD2020 is only one of many KJB products, but it looks like the most balanced one (the best value for money, the best characteristics for this money, etc). Let’s talk in more details. DD2020 is a typical bugging device detector which works at 1 MHz – 6 GHz frequency range and detects analog signals. You can use DD2020 in two ways: with or without earphones. In the second case, you’ll use the light and vibration signals. Let’s now give scores. I will use three characteristics to evaluate – size (because if a device is small enough, you can easily bring it to some places like your office); frequency range (the better it is, the more bugs and cameras this device can find) and usability. Well, it’s small (L: 4 inches; W: 3 inches; H: 1.5 inches) and not very heavy (1 lb 3 oz or 538 grams). The range seems quite good, but this device can’t detect FM signals! While FM is a method of radio broadcasting, I think DD2020 isn’t the best RF detector for professionals. However, if you are a beginner, it may be enough. Еhe case is made of aluminum, not plastic (like some other devices from my list). Standard antenna and connector mean that it would be easy to replace lost or broken parts. However, KJB doesn’t sell spare parts, so if you lose the adapter, it would be a problem to replace it. That’s why I didn’t give max 5 points. Now let’s do all the pros and cons. It would be quite simple. You can watch a video and understand how this device works. Let’s now go to the second one – it’s called CC308+. It’s a very small detector, which can detect 1 MHz – 6.5 GHz signals. CC308+ is very cheap, and unfortunately, it doesn’t work well ( that’s to be expected, taking its price into account). 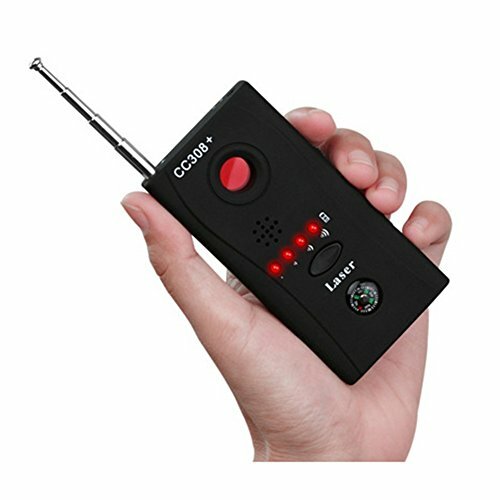 I’ll talk about the problems in the pros&cons section, but, this RF detector is quite a good choice if you haven’t ever tried such devices. It can detect something, like shower cams or hidden mics, but it’s useless for those who need something more powerful. It’s very small (L: 4.5 inches, W: 2 inches, H: 0.6 inches) and very light. You can use it without anyone knowing. Though the detection range is said to be wide, false alarms are very common. The case is plastic, so be careful with it (it’s not recommended to drop the CC308+). The battery is rechargeable, and there is an AC charger in the package. The user manual isn’t very beneficial and there are no video guides. However, you can watch this video to see how it works. Let’s now look at the pros and cons. it’s not actually an RF detector as I understand it. CC308 can usefully pick up all the RFs in your house (and even outlets! ), but that’s not what I expected. Taking all the feedbacks into account, I can’t recommend this one for those who want something more than just a toy. However, it can be a perfect entry-level detector for you. This device can be a perfect choice if you want something more professional. Pro-10G was designed in order to detect almost all the types of bugs – and that’s why it’s one of the best items on this list. When I say “all the types” I mean almost all the existing bugs. 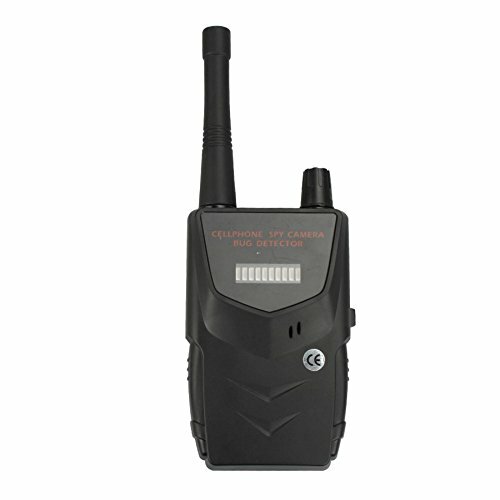 Pro-10G can detect both hidden cameras and hidden GPS, audio bugs, hidden Bluetooth, WiFi and GSM devices, as well as computer transmitters. In simple words, it means that this detector would be useful for all the most common purposes. However, let’s talk about Pro-10G in more details. This device has a very high-frequency range capability – thus, Pro-10G can detect bugs up to 10 Ghz! It can also generate a “white noise” which means you can stop undesirable audio listening without any additional devices. Another interesting thing is: this electronic listening device detector has a “homing switch” – when you switch it on, you will be able to detect all the transmissions, even the weakest ones. No tracking device will remain undetected. By the way, if you want to watch how it works or understand how to find a listening bug in your house with Pro-10G, you can watch the video by one of the owners. Written content is good, but some people prefer videos – if you are one of them, here it is. Well, let’s now give the scores. The device is quite small (L: 4 ¾ inches, W: 2 ¼ inches, H: 1 inch). It wouldn’t be a problem to carry Pro-10G in your pocket. It can detect the bugging devices up to 10 GHz, which means you will detect almost all existing (and non-professional) bugs, as well as GPS trackers. Headphones and dry cell battery is in the box, together with a telephone line adapter (so you will not need to buy it somewhere else). 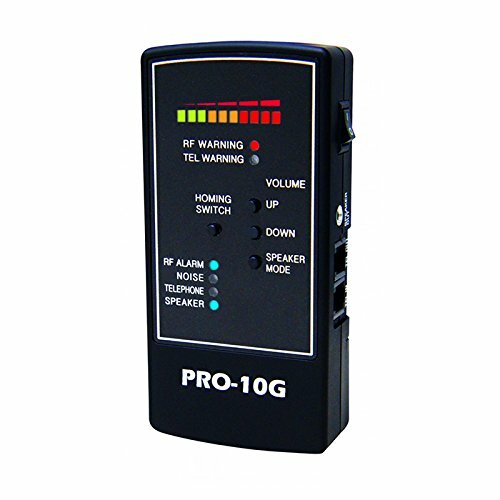 Pro-10G can detect 99% of the types of bugging and tracking devices. this detector is very powerful, and that’s why you will need to prepare the room before searching a bug in this room. Thus, you will have to unplug all the routers, cordless phones, and switch off mobile phones before starting the work. it doesn’t have a lens finder, so it can detect a hidden camera only if it’s active and if it’s transmitting right now. If your most concern is hidden cameras (like in hotel rooms), it may make sense for you to look at other devices. attery doesn’t last for too long. It’s quite expensive, but it’s not actually a disadvantage as I understand it. All in all, Pro-10G is one of the best choices if you are ready to spend 20 times more than on the previous entry-level device. It can detect everything, but it’s much more like a professional counter-surveillance detector, so it’s up to you to choose. This is another device manufactured by KJB Security Products. As I’ve already said, this company has been working for 25 years and it’s now one of the biggest players in this market – so another product made by it wouldn’t disappoint you. It’s more expensive than the last device by KJB, but it’s much closer to what I call a professional detector – this device can detect all the hidden bugs, GSM devices, as well as hidden WiFi. To understand the specifications better, watch a video – but if it’s not enough, continue reading. I have sorted all the pros and cons here, so let’s go. L: 3 inches, W: 5 inches, H: 0.75 inches. It’s quite small, like all the other devices here. DD1206 has two antennas – one detects 50 MHz – 12 GHz, and the second one detects 2.44 GHz. Such frequency ranges mean that this detector can literally detect everything with its increased sensitivity. It can also pinpoint a WiFi source easily. I liked the battery the most – unlike other devices, KJB DD1206 needs two AAA batteries to work (and they are included with this device). It’s very convenient and cheap – and all the other things are OK, too. price – but, well, all the professional devices cost like this one. This device is a little bit different – it doesn’t detect any radio waves so we can’t even compare its frequency range. All this device can do is detect hidden cameras – but unfortunately, it’s not the best detector on that field. 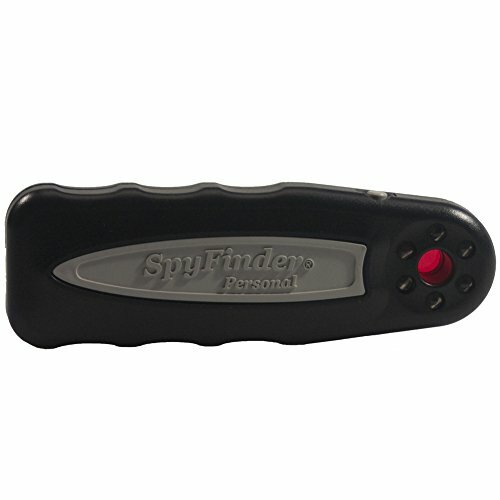 It’s very easy to use the Spy Finder. All you need to do is to hold the lens over your eye and press one button – then you’ll see your room in a red light; the lenses of hidden cameras will reflect this light. Well, that’s how it should’ve worked, according to the description from the manufacturer. In practice, all the advantages of this device are offset by the fact that you will need to be within a few inches from a hidden camera to detect it. However, it’s not as bad. Let’s look at the pros and cons, and give the points. It’s a very small device, 1:1:1 inches. This device doesn’t work with radio waves, it’s all about optical detection of the lens. No batteries, only two AAA batteries needed. However, the package is quite poor (but that’s because of the characteristics of the device; no antennas and no cords are needed). don’t detect any radio frequency so it’s only about hidden cameras. This small and powerful device is produced by EMR Shielding Solutions. It’s small, powerful and quite cheap – but let me be more detailed. It’s a radio/microwave alarm, which means it can detect not only hidden audio recorders and cameras but GPS trackers as well. It’s almost as sensitive as some more expensive devices, so you will not miss any bugs in your home (or anywhere else). 7 inches x 4 inches x 3.5 inches – it wouldn’t be a problem to use it secretly. I can’t say that it’s the best device on the list, but (don’t forget it’s quite cheap) it can detect almost all the common bugs and cameras. Micro Alert 2 needs CR 2032 lithium battery to work, and they are very common, so if anything is wrong with your battery, you can buy a new one without any problems. 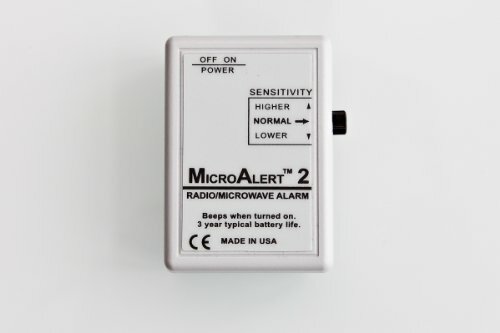 if you are an electromagnetic hyper sensitive person, you may get a headache when Micro Alert 2 is working. If it’s not enough, watch a video (this blogger focuses on such detectors mainly so you’ll understand how this device works). According to the information provided by the manufacturer, this company supplies its products to CIA and FBI. I’ll be honest – I didn’t find any proofs of this statement so let’s just trust them. RD-10 is a non-typical detector, which uses both lasers LED and radio frequency to detect undesired activity. It means that your chances to find a hidden camera are higher with this device than with the others, which use only one method. Of course, this detector can also find GPS trackers in your car and various hidden audio recorders. It’s very small (3 inches x 2 inches x 0.6 inches), but I gave it 5 points because there is a vibration mode available here, which allows finding a bug secretly. The scanning range is quite wide (20 MHz to 6 GHz), but the other devices have a wider range. Nothing to say here, the package is quite standard, but this device uses AAA batteries. By the way, if you are looking for the manual, you can find it here. If you are interested in how it looks like, you can watch a video too. It’s another typical detector, and I can’t say that it’s extremely good or bad at something. It’s an average detector, with its own pros and cons. Let’s talk about it. The thing is, it’s not very popular. That is why I can’t just write a review, based on the manufacturer’s information – we all know that this kind of information is often hyperbolic. I analyzed a lot of sources in order to make it clear, and here’s what I got. It’s small, just like all the other devices, included in this list. Due to the official description, it can pick up the devices that work on 20 MHz – 6 GHz, but according to the majority of reviews, it doesn’t really work like it should. You’ll get 1 antenna and 1 manual in a package, but the manual can be poor (I mean, written in poor English). The problem is: there is no battery in a package so you’ll have to buy it. according to some feedbacks written by people who have already bought it, this RF detector doesn’t work as it should. Some people say that it only picks up the electric signals, like the signals from outlets. it doesn’t work. Well, it’s the most common problem of the customers – they say that this Godiag RF detector isn’t actually an RF detector. That’s all you have to know. Well, you can still watch this video to see how it works. However, this detector is probably the only one from this list that I can’t recommend to you. Like one of the previous detectors (RD-10), this one is designed and produced by Lawmate. This company is not very reputable, but, well, it’s better than nothing. CDLM10 is a detector, which uses both RF and LED detection – you can look through a lens (like a Spy Finder, which I reviewed a little earlier) or use an antenna to detect radio frequencies. It’s an average pocket-sized detector that can be used secretly. It can detect the devices that work on 20 MHz – 6 GHz, it’s a good range and most of the hidden devices work in this range. In the box you’ll get only a detector itself and two AAA batteries, no user manuals are provided. high sensitivity. I mean, if there are many mobile phones, laptops and PCs in a room, it may be a problem to find a bug. I just want to tell you about this thing, despite it’s not an RF detector. The thing is, your privacy can be intruded by many ways – from hidden cameras to hidden audio bugs, from spying to hacking your mobile phone. If you are as concerned about privacy as I am, you’ve probably already thought about how to protect your mobile device. Am I right? Then I recommend that you pay attention to this Faraday Bag for your phone. In simple words, it just blocks all the signals – so if you don’t want to answer the phone, you just need to put it in this bag. The same is with your phone GPS signal. If you don’t want to be tracked by GPS signal of your smartphone, Wisdompro Faraday bag will be useful. Do you want to protect your credit cards? 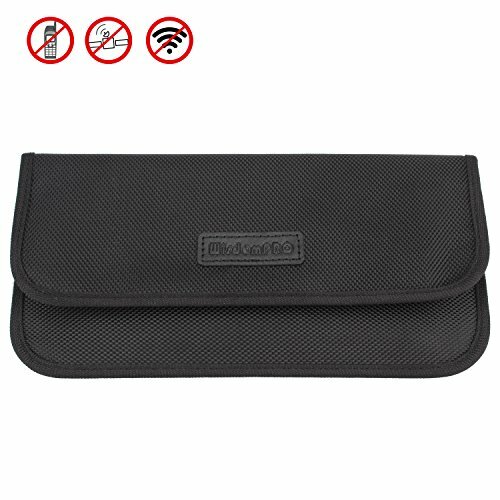 Unfortunately, there are many cases of hacking a credit card with RFID readers, so if you don’t want your card to be hacked (and your money to be stolen), just use this bag. It’s a very small case, and, unlike many other faraday bags, this one is also stylish and fashionable. If you don’t want a black one, you can buy a pink case! It’s not very big – it fits all the modern smartphones, from iPhone SE to iPhone X. And it’s not only about phones and cards – you can also put your car key in this case if you don’t want somebody to hack your car’s security system! Another advantage of this bag is its price. It’s very cheap, but even if it cost twice its price, it would be worth it, with no doubts. I tried to describe both expensive and cheap detectors, both amateur and semi-professional ones. There are no professional detectors here because they are very expensive (they may cost up to $40,000) – but almost all the devices listed here are good. Thus, if you want something cheap and “entry-level” – CC308+ is for you. If you want to search the cameras with the lens, not RF bugs – you can try Spy Finder or one of those devices that have both lens and RF detectors. Looking for something more professional? Pro-10G and KJB DD1206 would be a perfect choice. I collected only the best detectors here, but the final choice is up to you, of course. Good luck! 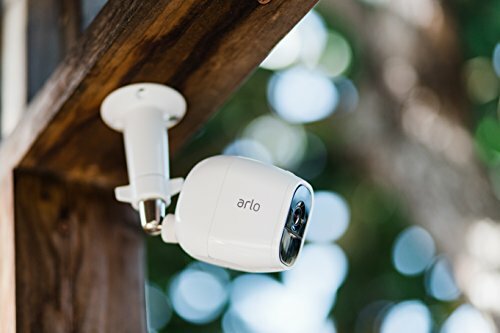 When someone can buy a camera for $6 (according to Wikipedia)and easily install it in your house, protecting the privacy is of the highest priority. Literally, everyone can buy one and see what you do in your home. Another reason why people install such cameras is to watch out for their children or elderly, for example. If you need one, I recommend that you check out this review best hidden cameras. You’ll find the best hidden cameras there, with all their features, pros, and cons. It’s sad, but a more common case of hidden surveillance is when someone tries to intrude someone else’s privacy. It’s actually prohibited by law – the fourth amendment says that, in simple words, all the search warrants (and surveillance with hidden cameras is considered a search) must be sanctioned by the court. But anyway, if you think that there is a hidden camera in your house, in your car, or in your office – you have a right to know it, for sure. That’s why you may need to buy hidden camera detectors. Well, such detectors are actually not the only way to find hidden cameras (of audio bugs). You can also hire a private investigator to l do this job – but it’s a much more expensive and time-consuming method. If you choose not to overpay and do it by yourself – you will have to search your house carefully and check all the wires (but some cameras are wireless), lights, and holes (like holes in a wall). But it isn’t a completely reliable method, of course. By the way, in answer to some common questions like how to know if your house is bugged, try to find any wires, lights, and holes. Objects which have been moved should also alarm you. There is one more thing you can do: buy a hidden camera detector device. It’s a middle ground – they are quite cheap and easy to use. However, choosing the best one may be quite difficult, because you have to take many factors into account. The first one is the type of the hidden camera finder you want to buy. The thing is, there are many types of the detectors on the market which can detect undesirable bugs in your home. There are actually two types of such devices: rf detectors and camera detectors. The camera is a highly specialized device which can find hidden cameras, while RF detectors can find all the other bugs. 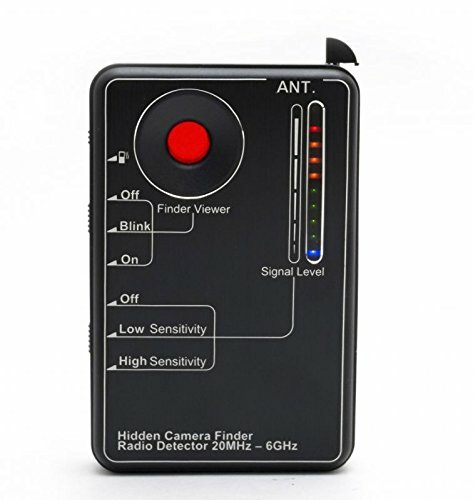 It’s quite simple: you should buy a hidden camera detector to find the cameras; you should buy an RF detector if you want to find hidden bugs and monitoring devices. In this review, I’ve presented both RF and camera detectors. In order to choose the best bug detector, you will have to compare dozens of characteristics. I’ve done it for you – all the pros and cons of the devices are sorted out carefully here. Basically, all you have to do is to read this review and choose – all the devices here are good at something and bad at something. Just read and make your choice! Important thing: the items are sorted neither by price, nor by ratings, nor by anything else. It’s all about random. The second important thing: you’ll see the scores I’ve given to the devices according to their performance. Of course! Setting up a hidden camera isn’t legal in many states but not detection.